It never gets easier. No matter how many times you hear about it. And we're hearing about it a lot more lately. In epidemic numbers. Another pastor announced to his stunned congregation that he couldn't do it anymore. He loved them. He was proud of the kingdom work they'd done together for years. But he'd gotten his priorities out of whack. He'd put all his time and energy into the church and had neglected his own spiritual and emotional health. He asked the congregation to pray for him and his family as they faced the next difficult phase of their lives – not knowing what that phase would bring. Then this pastor gathered the congregation of 20 people to the front of the church to pray together one last time. Him for them. Them for him and his family. They prayed, hugged, cried and said goodbye. As I write this blog post, that pastor is packing up the family's belongings in a rental van to move from the small town they've called home for more than a decade. For now, they'll live with his wife's parents to recoup and recover. Unfortunately, that pastor wasn't the only one to have such a story last Sunday. Hundreds did. This year, thousands wil leave the ministry, burned out and hurting. From big and small churches, growing and stagnant ones. This year, thousands will leave the ministry, burned out and hurting. From big and small churches, growing and stagnant ones. We hear about the famous pastors when they step down or burn out. That's the price of fame. And it's a steep one. Both your successes and your failures are amplified. But a different price is paid by those who aren't known to anyone outside their family and small congregation. 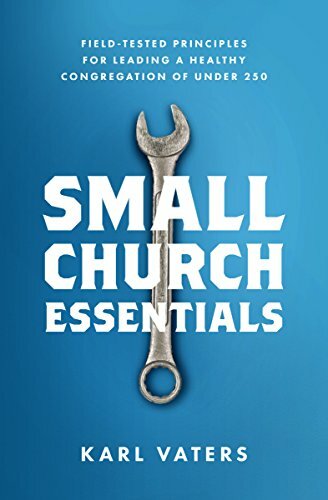 While the successes and pains of well-known pastors are spotlighted, the successes and pains of the small church pastors are ignored and forgotten. Both hurt equally. Both bear the burden of the problems that caused them to leave the church, and often the ministry. The pain of the megachurch pastor is intensified by failing under the unforgiving glare of the spotlight, while the pain of the other is amplified by failing in anonymity. Forgotten by almost everyone. Both scenarios are toxic. They break the heart of Jesus, they damage his church, they devastate pastors' families, they ruin ministries and they make it harder for church members to trust a pastor again – or to trust God again.